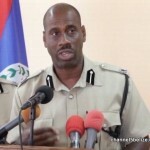 The unfortunate incident on Wednesday during which reporter Marisol Amaya was physically assaulted by members of the Special Patrol Unit on the Tower Hill Bridge in Orange Walk, remains a trending topic in the social media realm. The wanton tear-gassing and beat down of journalists during the uproar has seen a number of government officials as well as the public weighing in on the use of excessive force. 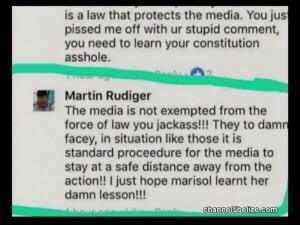 Regrettably, the unsolicited opinion of one officer, who identifies himself as Corporal Martin Rudiger on Facebook, has raised the ire of many, since his asinine remarks are yet again a poor reflection of the Belize Police Department. 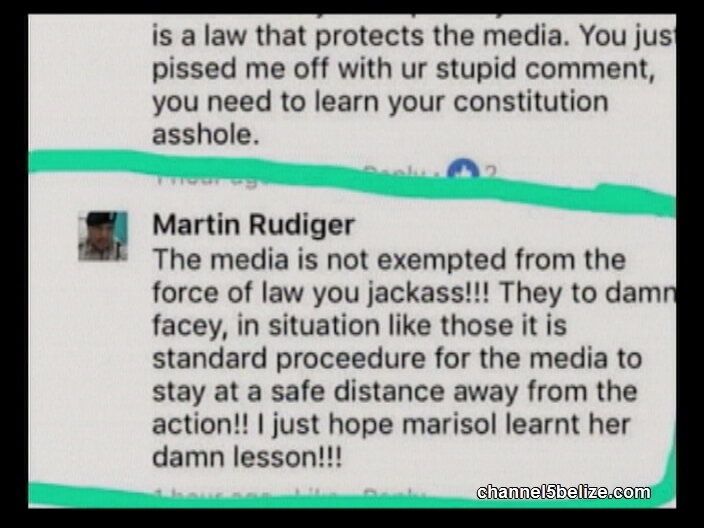 The officer writes that “The media is not exempted from the force of law” and that he hopes that Marisol learnt her lesson. This afternoon, A.C.P. 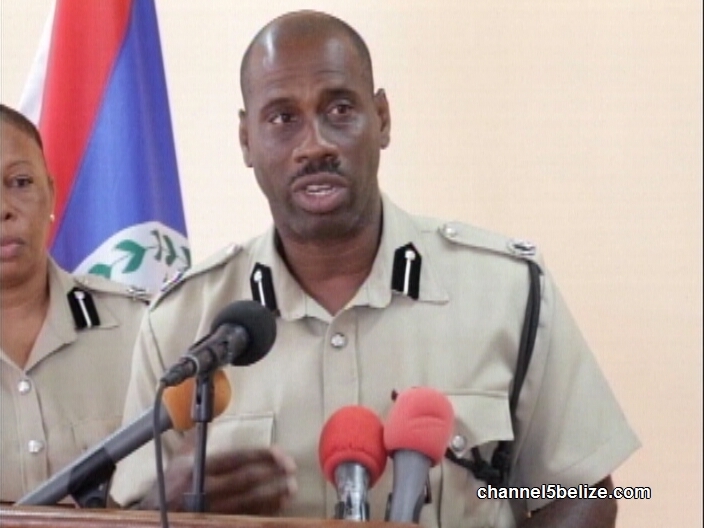 Edward Broaster stated that he has reprimanded the officer who has since taken down the post. What did Home Affairs Minister really mean with media jibe over riot? Mom delivers triplets at K.H.M.H. Channel Five is the place to be for Carnival!